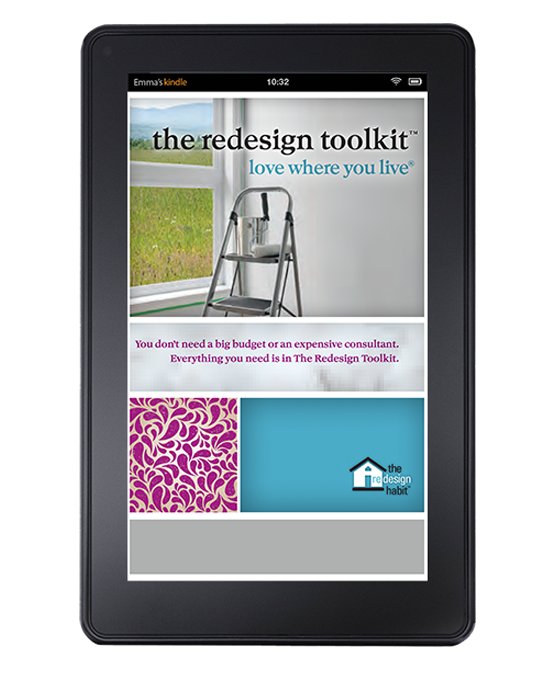 The Redesign Toolkit provides everything you need to complete your home improvement projects, including budget and style guides, space planning tools, money-saving tips and much more. eBook, printed workbook, standard toolkit & premium toolkit. eBook version available exclusively on Amazon for $9.99. Everything you need to learn how to plan and execute home improvement projects with confidence and ease, all in one handy workbook. You don’t need a big budget to love where you live. 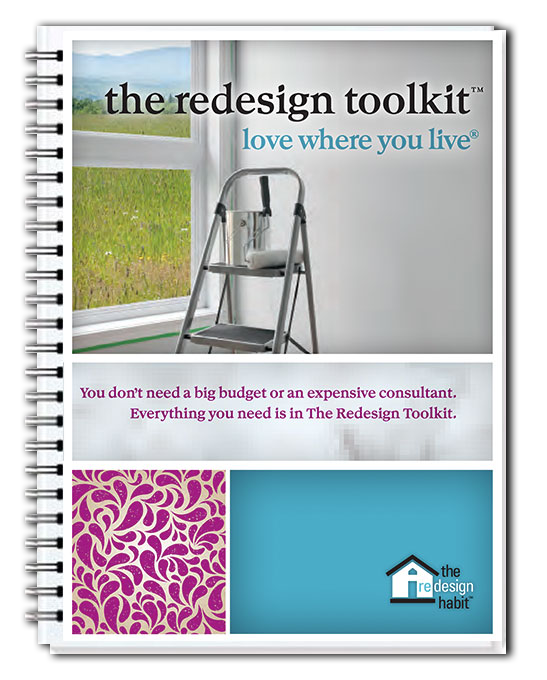 The Redesign Toolkit gives you everything you need (tools, tips, know-how and some fun extras along the way) for a fraction of the price of an interior designer. The Redesign Toolkit gives you everything you need to love whee you live™ —tools, tips, know-how, plus some fun extras along the way. This premium version includes items to make your redesign projects more valuable and enjoyable. Full description below.